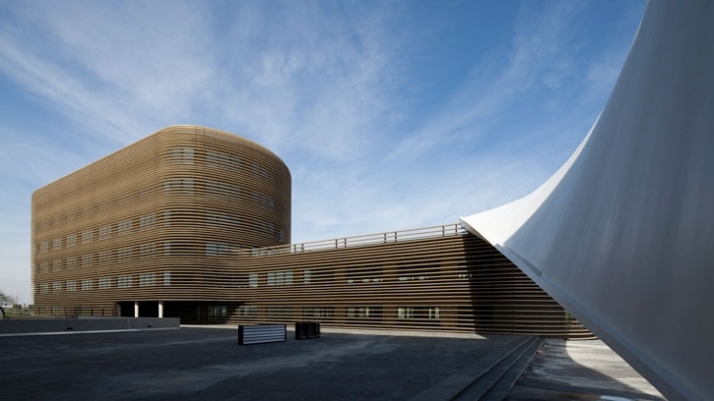 Le Galilée was designed by Studio Bellecour and mainly functions as an office building. It is located in ZAC Andromede de Blagnac, near Toulouse – France where Airbuses are made. 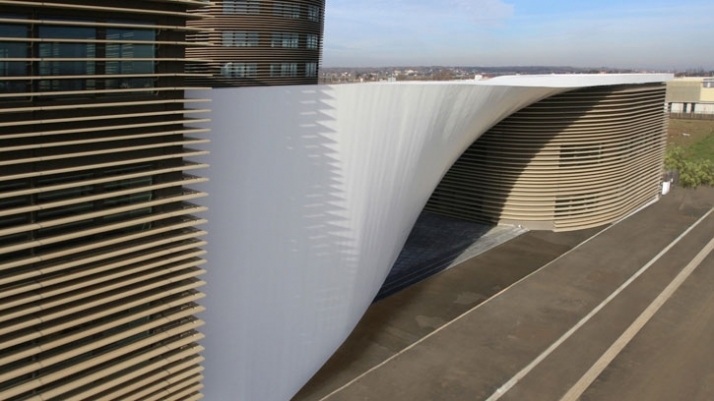 This contemporary building has been designed in such a way that it links two geometric volumes by a “voile” of white concrete. The two office buildings run over a total surface area of 10,500 square meters, respectively, one building covers 5,000 square meters while the other covers a total of 5,500 square meters. Both buildings have been designed to accommodate 700 people. Le Galilée has been designed architecturally to promote flexibility for the end users, while on the other hand it offers such benefits which respond to high international design standards. 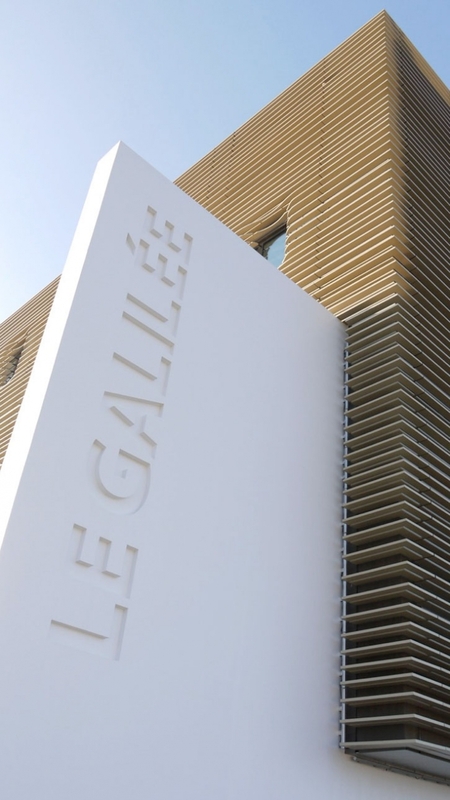 The architectural design of Le Galilée targets key environmental issues regarding building construction. 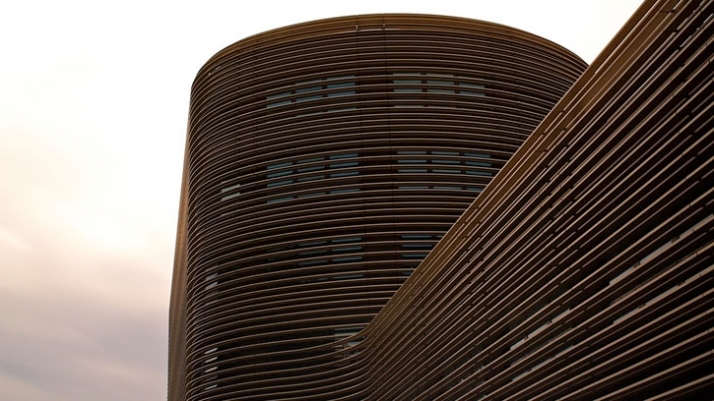 Studio Bellecour has designed this building in such way that it is considered to be an eco-friendly building with sustainable design. Matters such as the control of water consumption, energy and waste management have been exploited to the maximum so that the building could make the most of natural and artificial resources. 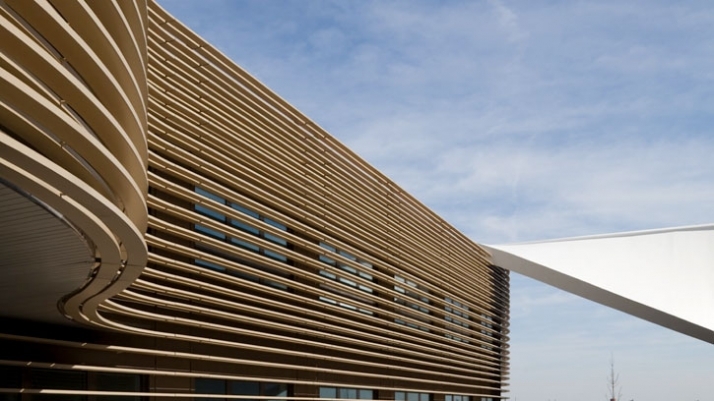 Le Galilée is one of the first developments near ZAC Adromeda, which is destined to become the first business center in Blagnac (100,000 square meters term) located near Pole Toulouse Aeronautical and extremely well served by transportation. The contemporary architecture and the modern forms give this building a unique exterior identity and excellent visibility from the passers by. Le Galilée is organized in two parallel distinct volumes which make up the two office buildings. Despite the fact that the buildings are parallel to each other, they are not similar neither in the exterior nor interior program. 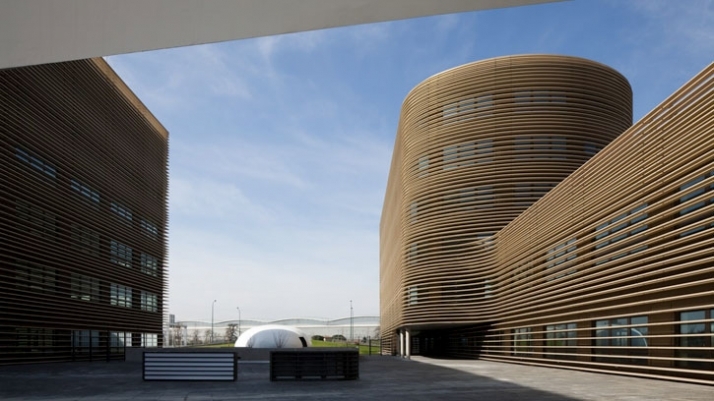 The two immovable volumes are distinct due to their exterior design as they have been “enclosed” for bioclimatic reasons with a shading system. 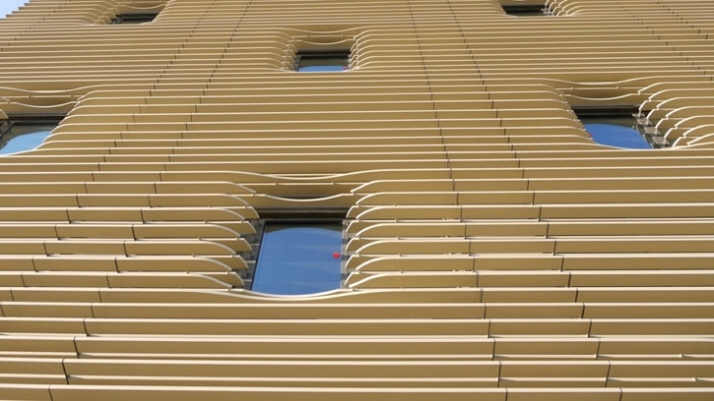 Advanced glazing system windows, along with the shading system maximize this buildings sustainable design. The blades of aluminum horizontal shades, is what makes the two volumes stand out especially since the shades have been selected in a brown tone making reference to a wooden shading system. 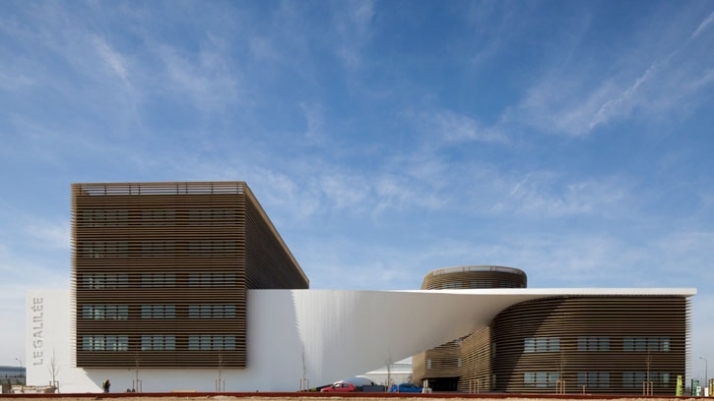 The two unique building volumes are connected, thus creating a coherent and interconnected design with the tall white concrete voile. 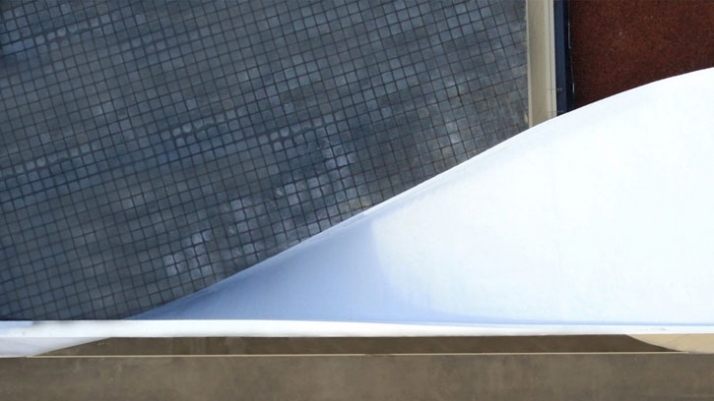 The white concrete form starts out as a vertical surface and slowly bends to transform into a horizontal form making reference to an aircraft propeller. The symbolization of the propeller recalls an aeronautical context as it is ideal design-wise since Toulouse is an area in France, which is well known worldwide for its Airbus industry. Furthermore, the voile assures continuity between each of the buildings while allowing for the passer by to discover the landscape in its entire splendor.